Anne Sills represents unions and employee benefit funds. Her union practice includes client consultations as well as representing clients in arbitration, mediation, contract negotiations and litigation before the National Labor Relations Board, state and federal courts. Her employee benefit funds practice primarily involves federal and state court bond and mechanics lien litigation, through which she has collected millions of dollars in health, welfare and pension contributions for employees and plan participants. 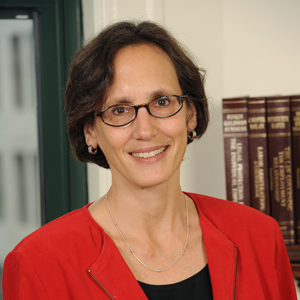 Anne was named a Massachusetts Super Lawyer in 2006, and 2008-2017. She speaks Spanish and enjoys using Spanish in her law practice. Anne, a partner in the firm, joined Segal Roitman in 1986. Before joining the firm, she worked as an attorney for the American Federation of Television and Radio Artists and the Screen Actors Guild. Before becoming a union lawyer, Anne worked on the assembly line at General Motors, where she was active on various union committees. Outside of work, Anne enjoys reading, cooking, walking, yoga and spending time with family and friends. Northeastern University School of Law J.D.